Order a Christmas photo album from bonusprint and receive tailored albums that allow you to revisit your cherished moments for years to come. Get started right away and create your own Christmas photo book! In the modern age of the global village, Christmas represents a rare opportunity to get the whole family back in one place for a little holiday cheer. A Christmas photo album is a sure-fire way to create a beautiful record of the event that can be revisited time and again and passed on to future generations. Digital photography has expanded to the number of photos we can take but has also cut down on their lifetime, as images often get deleted to make more memory space. A Christmas photo book is a proven method for taking the next step and turning those images into a physical reality and creating a collection of your best photo album Christmas moments. Introducing a new-born to the joys of Christmas is a once-in-a-lifetime event that deserves to be preserved. The gift of a ‘My first Christmas photo album’ collection is a present that will be appreciated by you and your child increasingly as the years pass. It will serve as a marker, a gold standard from which all other future Christmas occasions are measured. Preserve that beautiful smile as you give them their first ever Christmas present. And even take a photo of their tears as they reject the concept of Christmas cake as anything other than an imposition! bonusprint offers unique and high-quality ‘baby’s first Christmas photo albums’ to help you collect your special moments in one beautiful place. Though we all gather for the same traditions, every Christmas time is different. A new tapestry is created from the interactions of family and friends who are constantly moving through different life stages and growing up. If each new Christmas is the same, why should your Christmas memory book be any different? A personalised Christmas photo album is the perfect way to make each of your albums stand out on its own. A personalised Christmas photo book allows you to take some of your images and allow them to become a part of the design of the book itself. A personalised Christmas album can thereby become a part of the collection itself. However, with bonusprint, you can take the tailoring process even further and make your own Christmas photo album by creating your own Christmas photo album design. This means that not only do you blend your images and text with the album itself, you also choose the pattern, the colours, everything. Create Christmas photo books using bonusprint and you will finish with an album that is wholly unique to you and your family. 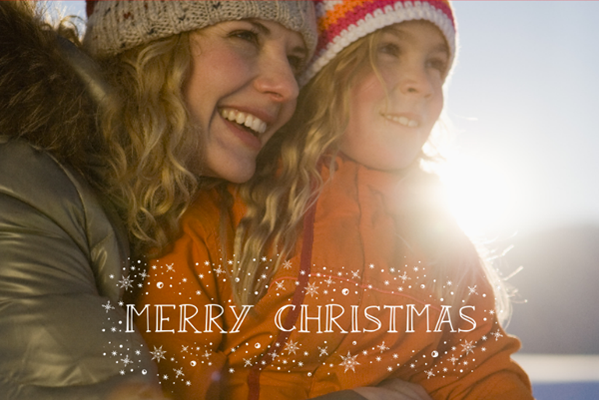 Christmas is undoubtedly one of the busiest times of the year for any family. Getting everything in order in time is part of the miracle! Printing a Christmas photo album is an excellent method for cutting down on the time and effort that go into creating a collection from physical photos. With a printed Christmas photo book, you simply upload images from your computer and create your own Christmas photo book. We then print it off and send it to you, no further assembly required. Buy your Christmas photo books from bonusprint and start your Christmas photo book collection and divide your moments as you wish. Why not create a Christmas gift photo album for all those beautiful presents? Order your Christmas album from bonusprint and you’ll get the benefit of our intuitive website, fast shipping and great customer service.